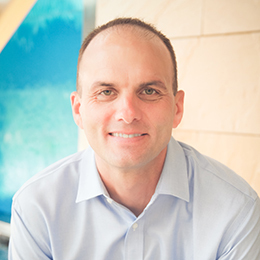 Jeff Eidel is the Vice President of Corporate and Business Development at Illumina. Jeff is responsible for sourcing, negotiating and managing a variety of strategic partnerships and alliances on behalf of Illumina. Jeff joined Illumina in 2006 and has held various Finance, Commercial and Corporate & Business Development leadership roles within the company, as well as serving as the General Manager of Illumina’s Madison, Wisconsin site after the company’s acquisition of Epicentre in 2011. Prior to joining Illumina, Jeff worked at KPMG LLP, Corillian Corporation and Inovio Pharmaceuticals. Jeff graduated from the University of Montana in Missoula in 1998 with degrees in Finance and Accounting.